Welcome to the online profile of Johan Strömquist, CEO at NDA Group. Johan Strömquist is a change facilitator, communicator and organiser. Johan Strömquist is leading and growing the NDA Group, an organisation of Europe's foremost experts in Regulatory Affairs, Patient Safety and Health Technology Appraisals. Johan Strömquist is engaged in discourse on scientific areas of interest, such as Pharmacovigilance and process development / governance, Benefit / Risk assessment methodologies, Relative Effectiveness assessments and the convergence of regulatory and health technology appraisal requirements and process. 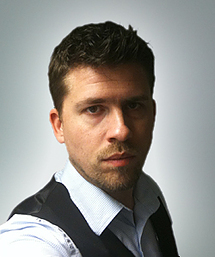 Johan Strömquist has been an entrepreneur within IT, marketing and sales from 1998 until end 2011. In that role Johan Strömquist has been leading people and organisations to achieve their ultimate objectives. Johan Strömquist thrives on managing change and growth and giving input into other peoples enterprises. Johan Strömquist is focusing on process innovation and development and human behavior. Johan Strömquist aims to become an entrepreneurial facilitator to help others achieve their business goals. Leading an organisation of Europe's foremost experts in Regulatory Affairs, Patient Safety and Health Technology Appraisals. Responsible for strategy, growth and governance. Chairman responsible for strategic direction of IT-consultancy firm. Facilitating change initiatives, supporting top management, supporting service development. Specificly responsible for IT strategy and internal/external communication. IT strategy advice, marketing and sales, management and organisation advice role. Created and implemented global IT strategy. Developed visual brand and identity. Advised on aspects of organisational structure and am part of the managerial sounding board. Responsible for strategy, growth and operative aspects of an IT-consultancy business. Entrepreneur within the IT area, providing consultancy services covering maintenance, support, network and security and web development activities. The business was transferred to Further AB in 2005. Leadership, change management, organisation, strategy, service management, process development, marketing, sales, commercialisation, regulatory science, and in my spare time I develop iPhone apps and spend time with my fantastic family.